When I was a kid and had to stay home because of the bad weather, I used to take all my Lego bricks out of a big box I had and play with them. Now that I am a grown up and weather is being really bad, I can always play with something I like a lot...my nail polish collection !. In these pics you can see part of my collection. I have another big box with many cheaper brands, these one you see are my fave nail polish so far in my ever growing collection. I like nail polish so much and I have to admit I'd feel naked going out with bare nails...what about you ?. I usually have quite short or medium nails, I think they're easier to handle. I don't have any recostruction on them, I try to keep them strong by applying a streghtening base (using Esse all in one base at the moment). 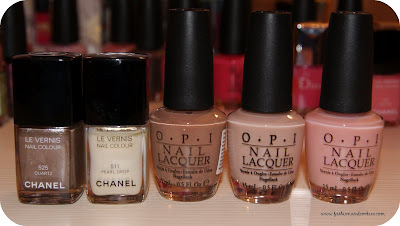 My fave brands are OPI and Chanel. OPI makes long lasting, easy to put on polishes and has tons of original colors - I even like the names they give them ! Chanel makes absolutely the trendiest nail polishes, deciding the must have colors of the season...plus they have the best packaging ever, don't you agree ?. I also love Dior nail polish even tho I have been a bit disappointed by the final result on my nails, it got chipped very quickly. I am happy that local Sephora is finally selling Essie nail polish cause they have many lovely colors and they seem to be great so far !. What are your fave nail polish brands ?. Quando ero una bambina e dovevo restare in casa a causa del maltempo, mi piaceva prendere tutti i miei mattoncini lego e tirarli fuori da una grande scatola per giocarci. Ora che sono cresciuta, quando ho un po' di tempo libero in casa, posso sempre giocare con qualcosa che amo...la mia collezione di smalti !. In queste foto potete vedere solo parte della mia collezione. Ho un'altra grande scatola piena di smalti di altri marchi, in queste foto vedete solo i preferiti ;-). Mi piace molto portare lo smalto e ammetto che mi sentirei nuda ad uscire senza, e voi ?. Di solito porto le unghie abbastanza corte o di media lunghezza, credo siano più facilmente gestibili, cerco inoltre di mantenerle forti applicando sempre una base indurente (al momento sto usando la base di Essie "all in one"). I miei brand preferiti di smalto sono OPI e Chanel. OPI fa dei colori stupendi e molto originali e gli smalti durano veramente tanto, oltre ad essere facilmente applicabili - mi piacciono molto anche i nomi simpatici che danno ai loro prodotti ! Chanel fa gli smalti più trendy in assoluto, lanciando ormai la moda di stagione in fatto di colori...inoltre hanno la boccetta più stilosa, non siete d'accordo ?. Mi piacciono anche gli smalti di Dior, anche se sono rimasta un po' delusa dagli ultimi che ho acquistato perché si sono sbeccati troppo presto. Solo da poco il mio negozio Sephora di fiducia ha iniziato a vendere gli smalti Essie e non potevo che esserne contenta, ci sono tanti colori e mi sembrano ottimi ! . Quali sono le vostre marche di smalto preferite ?. Sometimes taking them all out is also a useful way to remember all the colors I already have and the shades I really lack in my supply, even tho I am not a rational buyer, I am more of a compulsive shopper !. Tirarli fuori tutti si rivela utile per non dimenticare quali colori di smalto già possiedo e per capire quali siano le tonalità che invece mi mancano proprio, anche se sono una compratrice impulsiva e poco razionale !. A set of neutrals is surely a must have and something necessary in a beauty case ! Even if you don't like nail polish too much, a basic color can be a good way to look sophisticated and chic. Un set di colori neutri è sicuramente un must have e qualcosa di necessario in un beauty case ! Anche se non vi piace così tanto mettere lo smalto, un colore basic può essere un buon modo per apparire sofisticate e chic. Red is the color of passion, of the nails of a 40s diva, it makes me think of an elegant, feminine woman and I think it will always be trendy and chic, especially on short/medium nails. Il rosso è il colore della passione, delle unghie delle dive anni '40, mi fa pensare ad una donna di elegante e femminile e penso che sarà sempre di moda e di classe, specialmente su unghe corte/di media lunghezza. 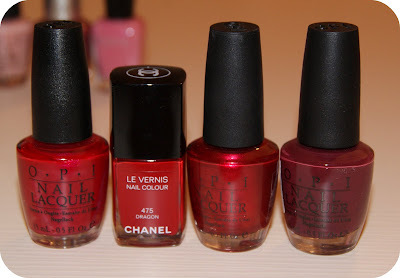 From left to right: OPI: Deer Valley Spice - Chanel: Dragon - OPI: An affair in red square - OPI: Can you tapas this? I have a majority of pink nail polish bottles, bigger than Barbie girl's collection, LOL...I think I will have to calm down for a while. Anyway, it's easy to wear and there are so many lovely shades that...I think soon or later I will add some more pinkish colors in my collection ! Ho tantissime boccette di smalto rosa, ne ho più della Barbie, LOL...credo che dovrò darmi una calmata per un po'. Comunque, è un colore facile da portare e ci sono così tante belle sfumature che...credo che prima o poi comprerò altri smalti rosa ! Green, purples, a touch of color is often a breath of fresh air in your outfit ! Verdi, viola, un tocco di colore è spesso una boccata d'aria fresca per il vostro outfit ! Orange is so trendy this year, can't wait for spring and a bit of tan to sport it ! L'arancio è il colore di moda quest'anno, non vedo l'ora che arrivi la primavera e un po' di abbronzatura per sfoggiarlo ! I like also more original colors since I admit to being a nail polish fashion victim, so I keep buying them, often going nail polish hunting for the hardest to find ones. Even when I succeed, my peace doesn't last for long cause soon I find out a new polish I desperately want !. Mi piacciono anche i colori più originali e siccome sono una fashion victim degli smalti, continuo a comprarli, spesso andando a caccia di quelli più introvabili. Anche quando ci riesco, la mia pace non dura a lungo, perché presto scopro un nuovo smalto che devo assolutamente avere !. I absolutely LOVE your collection! ma quanti ne hai?? grazie per il tuo commento cara! So many Chanel nailvarnish, wow, I've never seen someone own so many! Vale I'm soooo jealous of your Chanel collection! I used to do the same thing as a kid! you have an impressive collection!! so many beautiful shades..WOW! It is awesome to know that I am not the only one with a large nail polish collection. I love nail polish, love putting it on, and love playing with color when it comes to my nails. OMG! I love your nail's collection! Awesome selection, sweetie! 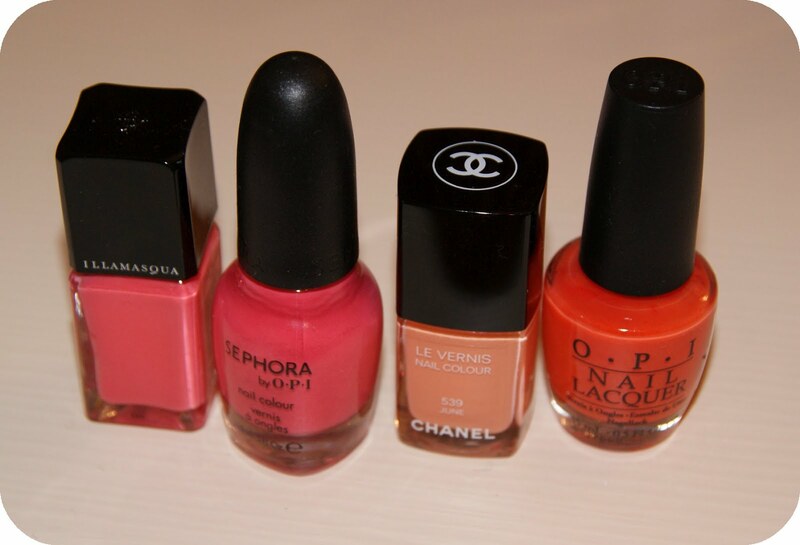 I love Chanel and OPI too! aaaaaaaaaaaaaah ma che invidia!!!! sono bellissimi!!! anche io le tengo molto corte, al polpastrello, per comodità e per estetica, e posso usare anche colori strani! Gran bella collezione di smalti :) anch'io mi sentirei nuda ad uscirne senzaaaa..
Ohhh I love the nail polish collection. Love all of the great colors. YOu have inspired me to start my own collection now. Usually I just buy two or three a few months. That's an AWESOME collection! I love OPI! Mi fai morire così ;D! 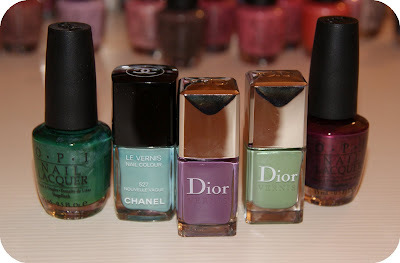 What a great collection of nail polish and very pretty colors too. you have one of the coolest nail collections, love the colors. Thanks for stopping by my blog, great blog you have here. P.S. --- New post on my blog! :) Make sure to check it out! Wow! All of the nail polish looks divine! I just got my nail polish done this past weekend, and I felt like a princess. Or a diva. Or both! Hello dear how are you? I'm following your blog, and bloglovin, tiwitter and facebook, you can follow back? I'm pretty sure you have the greatest nail polish collection I've ever seen - it's better than a salon!!! I love Chanel nail polishes, they are always the best. 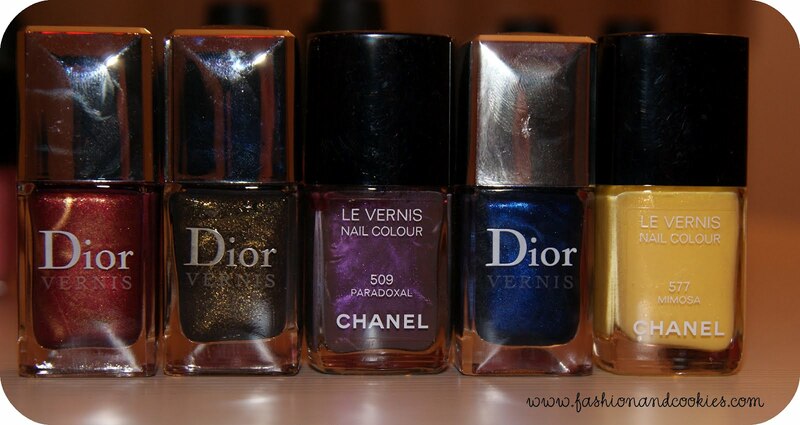 Oh, I want to have collection as big as yurs, but I have only about 15 nail polishes. All of these colors are great and calling my name. Spring is just around the corner. i cant believe your nail polish collection! amazing! I love Chanel and OPI a lot as well!! I LOVE NAIL POLISH ! and you have an awesome collection ! i have a lot myself too. Have a nice day. WOW! You have soooo much nail polish! It's unbelievable. I wish I could come and hang out with you on a rainy or sick day. Hi, I love nail polish, as a child my mother always asked to paint my nails! I only know the first season of Gossip Girl. I've never heard of Once upon a time and Alcatraz- is that a shame? :P I should look them up. so nice your collection! very beautiful!! I follow you back on bloglovin' and FB! Check out my FB page too! You have a huge collection!! Wow that is one awesome collection!! I never wear metallic nail polish for some reason and have stopped wearing dark colors also. But nudes and brights I love! Wow so many nail polishes! LOVE it! Thanks so much for your lovely comment on my blog, yours is gorgeous! wow, now that is what I call nail polish collection! and I thought I was addicted to nail polish! OMG! You have really amazed me with you hge collection! And you have more than this!!! You should keep them in a crystal wardrobe so it may be easier for you to find the colors, don´t u think? I am still drooling...Your collection is amazing!! 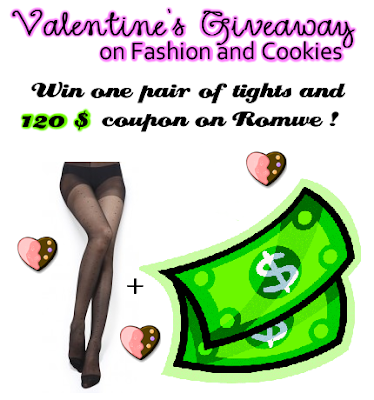 i have entered your giveaway, finger crossed ! Wow. Your collection is unbelievably huge. I love it!!! An amazing collection! I love the red ones <3. Oh wow fantastic collection! 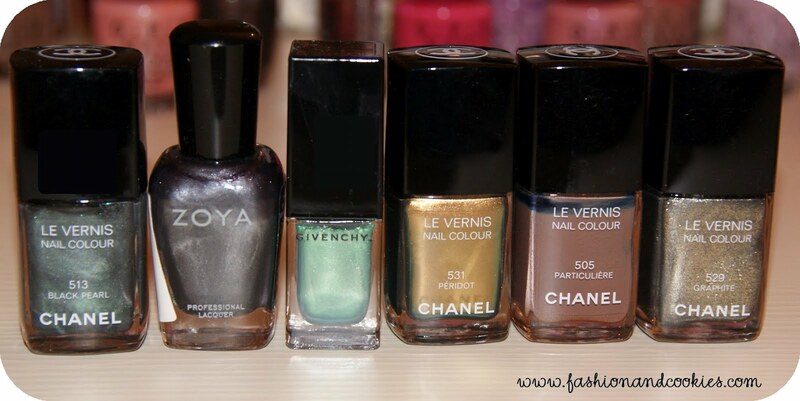 I am a bit of a nail polish fiend too but I only own a couple from Chanel. I personally don't like their formula and find that they chip so easily compared to some of the cheaper british brands that I like! 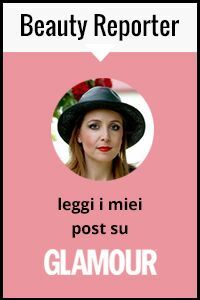 Il tuo blog è fantastico ti seguo!!! MAaaaaaa cuanti colori amica!!! tu sei veramente adcita degli esmalto, no? Anche io voglio una colezione cosi!! In brasile me piaci los "nail polish" di Colorama y Risque ma internazionale Chanel i OPi! Che invidia! Hai praticamente tutti i miei preferiti e tutti quelli che vorrei ancora! Got a new follower too! I mean.. they all are yours.. and this is only the part of your collection... wow.. I wish some day I have enough money to have so many nailpolishes. Love this post! I feel naked without nail polish too. There is nothing better than to watch a movie and paint nails! I have to go through my collection just to remind myself of the colors that I already have. Sadly there are repeats of the same color.